Your Ex-Spouse “Kidnaps” Your Child – Now What? Custody disputes are some of the most emotionally-charged and mentally- and physically-draining contests that can erupt in any Florida family law case. When a child’s parents compete for as much time as possible with the child, the parents can engage in behaviors that are harmful to the child – and potentially illegal. What is “Parental Kidnapping” in Florida? 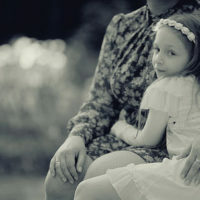 In a divorce, paternity, or child custody proceeding, a court will almost invariably enter orders setting forth a parenting time plan that outlines the times and conditions under which each parent can exercise physical custody over the child and spend time with the child. However, just because such a plan exists does not mean that both parents will abide by it. Encouraging the child not to visit with the other parent even though the other parent is lawfully entitled to parenting time with the child. Interfering with custody is a third degree felony, meaning a criminal conviction can be punished by a $5,000 fine and/or up to five years’ of imprisonment. What Should I Do if My Child’s Other Parent Refuses to Follow a Parenting Plan or Share Custody? Be certain to speak with your Florida family law attorney. Even if law enforcement takes no action, a violation of a court order such as a parenting plan is something most judges will not take lightly. Depending on the judge overseeing your case, the other parent may face consequences for any willful interference with your custody rights. If you are struggling with custody issues or any other family law issue in Florida, the assistance of an experienced and knowledgeable attorney can make all the difference in the outcome of your dispute. Contact the Law Offices of David L. Hirschberg, P.A. by phone at (561) 288-8620 or by contacting the firm online.